Presumably he is referring to Windows on the World, the restaurant at the top of the North Tower. 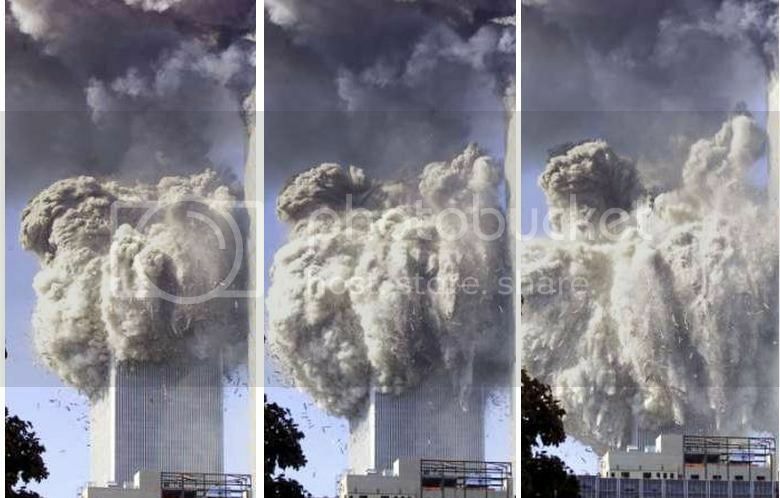 Everyone who is in Windows on the World when Flight 11 hits the North Tower at 8:46 a.m. (see 8:46 a.m. September 11, 2001) will subsequently die. [NPR, 9/11/2003] Chan will comment, "I would probably have died if the shooting had gone ahead as planned." Today filming at the WTC has been canceled, reportedly because the script for the scene that would have been filmed is late. [ABC News, 9/19/2001; Empire, 9/19/2001]"The action was good, but, somehow, the script not ready,"Chan will say. Who talked Jackie Chan out of filming the WTC movie on 9/11? Gosh, so many 'coincidences' taking place on 9/11! Gee whiz, those Jews working at Odigo and the Israeli owned shipping company ZIM sure got 'lucky' on 9/11! Salman Rushdie, who is under the continuous protection of Scotland Yard, was prevented from flying on September 11th, 2001. Ariel Sharon, who was scheduled to give an address to Israeli support groups in New York City on September 11th, cancelled his plans the day before. Why didn't the Secret Service use the surface-to-air Stinger missiles it had on 9/11 against the attacking aircraft? Israel, is your seat feeling a bit warm? Between the people who have freed themselves from holoHOAX brainwashing and no longer will play dupe for your extortion's and the truth coming out that 9/11 was an Inside Job, masterminded by Israel with help from American traitors in the WH, the Pentagon, the FBI, CIA and the NSA, it won't be long before your Apartheid State of Hate is getting its just dues. You know what they say about payback, Israel, so maybe it's time for a 'Hail Mary' type of operation, involving one of your specialties, a massive False Flag to get Americans back to hating the people you want us to hate, Muslims. P.S. The stunning defeat of your boy in Congress, Eric Cantor, hurts, doesn't it but it's good news for America! Zionists and Israel-Firsters are trying to frame the loss due to Cantor's stance on illegal immigrants, but what if people are finally getting sick and tired of Israel controlling our government? "Why are 9/11 Truthers Labeled as anti-Semitic?" What do these MSM outlets have in common? Caught Jew Child Molesters Scream "anti-Semitism"